Class 1 Sound Analyser covering all the features of the Nor13x series of sound level meters plus building acoustics and a large vast of other applications. 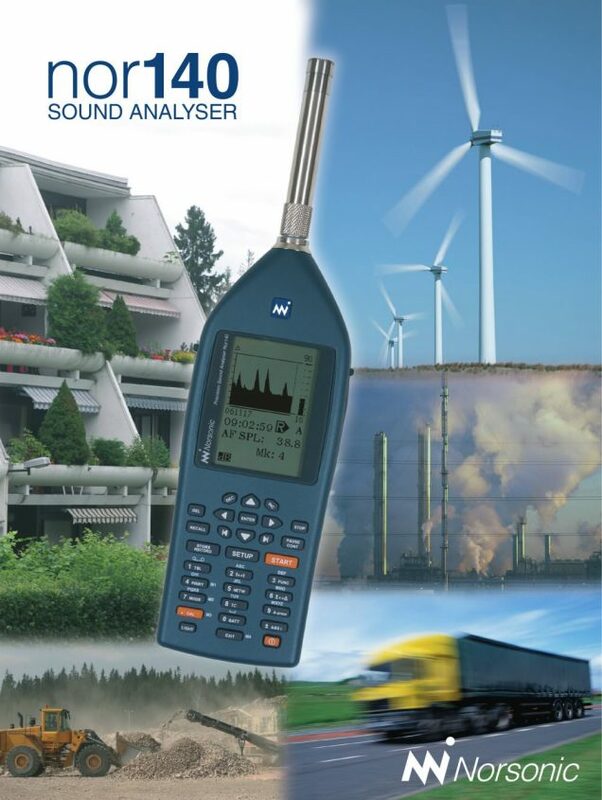 This is the perfect tool for acoustic consultants, R/D engineers and other highly professional users that need a sound level meter covering literally all applications a single channel sound level meter can measure. Huge internal memory, USB interface and SD-card makes it easy to import measurement data to a PC for further post processing and reporting. The Nor140 is seamless integrated with Nor850 multichannel system. It can be used as a frontend in a Nor850 system or only the Nor850 post processing and reporting tools that are available for building acoustics and sound power. Control your Nor140 from a smartphone. The Nor140 in combination with the noise terminal Nor1530 and NorRemote give you a unique freedom to take control of your Nor140 from any place in the world. Nor140 is easy to use – just push the start key and measure. There are only three buttons you need to operate to complete a measurement, clearly indicated by the orange colour; Power on, Calibration and Start measurement. The other buttons are just short keys for quick access to the most important settings.